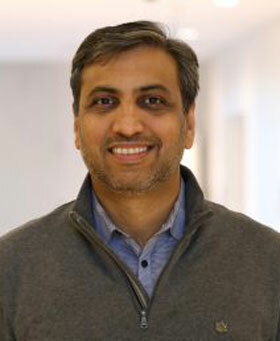 Dr. Srivastava received his B.Tech in Electrical Engineering from Indian Institute of Technology Delhi in 1998 and PhD in Computer Science from UCLA in 2002. He was awarded the prestigious Outstanding Dissertation Award from the CS department of UCLA in 2002. His primary research interests lie in the field of high performance, low power and secure electronic systems and applications such as computer vision, data and storage centers and sensor networks. He has published numerous papers on these topics at prestigious venues. He has been a part of the technical program & organizing committees of several conferences such as ICCAD, DAC, ISPD, ICCD, GLSVLSI, HOST and others. He has served as the associate editor for IEEE Transactions on VLSI, IEEE Transactions on CAD and INTEGRATION: VLSI Journal. His research and teaching contributions have also been recognized through various awards. The workshop was sponsored by the Army Research Office, the Clark School, ECE and ISR. The ARO Young Investigator Program recognizes young faculty less than five years out of doctoral studies who show exceptional promise for creative research. Research will allow the co-simulation of power, performance and reliability characteristics. Forte will be focused on cybersecurity and computer engineering due, in part, to the UF Preeminence Initiative.